The ADS7834 is a 12-bit sampling analog-to-digital converter (A/D) complete with sample/hold, internal 2.5V reference, and synchronous serial interface. Typical power dissipation is 11mW at a 500kHz throughput rate. The device can be placed into a power-down mode that reduces dissipation to just 2.5mW. 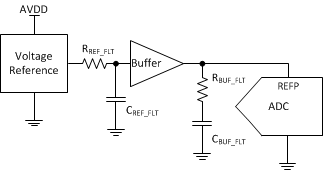 The input range is zero to the reference voltage, and the internal reference can be overdriven by an external voltage. Low power, small size, and high speed make the ADS7834 ideal for battery-operated systems such as wireless communication devices, portable multi-channel data loggers, and spectrum analyzers. The serial interface also provides low-cost isolation for remote data acquisition. The ADS7834 is available in a plastic mini-DIP-8 or an MSOP-8 package and is ensured over the 40°C to +85°C temperature range.